If you've decided it's time to lose weight, one of the first decisions that you need to make is how you are going to fit exercise into your daily routine. No matter what type approach you are taking to changing your eating habits, you have to find time to exercise on a daily basis. When you reduce your caloric intake and you increase your activity level, you'll be on your way to accomplishing your goals for healthy weight loss. Keep in mind that you don't have to undertake an intense exercise program when you want to lose weight. As a matter of fact, jumping in to a strenuous exercise program too quickly can cause you to give up on your weight loss program, and can even lead to injuries. Keep in mind that you don't have to train to become a champion body builder or competitive runner in order to lose weight. When you begin exercising, it's important to start out gradually so you'll be likely to stick to your plan without getting hurt or feeling overwhelmed. Some people prefer the idea of exercising at home, and others like the idea of joining a fitness club. Where you exercise really doesn't matter, as long as you follow a regular schedule. 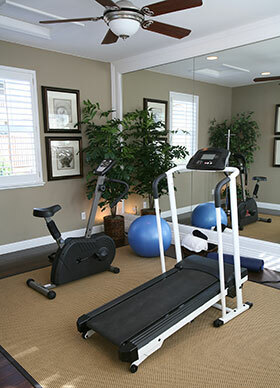 It is very important that you own or have access to the right type of exercise equipment. For example, if you plan to walk or run outdoors, invest in a pair of good quality walking or running shoes. If you like the idea of walking, but you'd prefer to exercise indoors, you'll need to join a gym or set up a treadmill in your home. If you aren't accustomed to exercising, a good beginning goal can be to devote twenty or thirty minutes to exercise three or four days each week. You can add more days as you get used to exercising, and you can also increase the duration of your workouts if desired. No matter what type of exercise you choose, it's important to stretch and warm up before you start working out to reduce the risk of injury. When you want to lose weight, the best exercise routine is one that combines aerobic exercises designed to improve your cardiovascular fitness with anaerobic exercises that can play an important role in building and toning muscles. The ideal way to approach combining aerobic and anaerobic activities is to alternate between one and the other on the days that you exercise. You may want to consult a personal trainer at the outset of your exercise program. He or she can help you come up with an exercise program that meets your needs. Trainers can also teach you how to properly use exercise equipment and give you tips on avoiding injuries. Your new exercise program will help you get in shape and boost your metabolism so you can improve your overall health and appearance. As soon as you start exercising on a regular basis, you'll be on your way to achieving your weight loss ambitions.